The world’s first commercial induced pluripotent stem cell (iPSC) plant opened this March in Osaka, Japan, just 30 miles from where they were initially created at Kyoto University by Shinya Yamanaka in 2006. Because iPSCs are relatively new - they were created in 2006 by Shinya Yamanaka at Kyoto University in Japan - their technologies aren’t advanced enough yet for therapeutic use. However, creating commercial factories like SMaRT will facilitate the development of iPSC-based therapeutics through knowledge and technological advances. Mouse iPSCs were first created in 2006, followed by the first human iPSCs in 2007. Clinical trials testing iPSC-based therapeutics are just beginning - one trial was approved in the UK and Australia for graft-versus-host disease and three trials are approved in Japan for age-related macular degeneration (AMD), heart failure, and Parkinson’s disease. A fourth trial for aplastic anemia is currently awaiting approval from the Japanese government. Passing the Pharmaceutical and Medical Device (PMD) Act in November 2014 has allowed Japan to become a leader in iPSC-based therapies. An iPSC therapy center is being built at Kyoto University Hospital to open in 2019. The first iPSC-based product is aimed to be approved by 2020. Opening the SMaRT facility will accelerate iPSC research and the advancement of iPSC therapies into the clinic. Stem cell research has come a long way from when embryonic stem cells were first derived from mouse embryos in 1981, then from human embryos in 1998. Since their discovery, the use of human embryos for stem cell research has caused both excitement and controversy, polarizing national laws and stances on stem cell research around the globe. To avoid the use of embryos, scientists needed to figure out how to create stem cells. In 2006, Japanese scientists led by Shinya Yamanaka treated mouse skin (fibroblast) cells with a variety of transcription factors (proteins that can turn genes “on” or “off”) to genetically “reprogram” them to be stem cells, which he called induced pluripotent stem cells (iPSCs). A year later in 2007, teams led by Yamanaka and American researcher James Thomson simultaneously reported converting human skin cells into the first human iPSCs. The ultimate clinical application of stem cells is to treat diseases like Parkinson’s and diabetes by replacing the missing or dysfunctional cells. Although this goal has not been realized yet, there are multiple clinical trials to date. In September 2014, Masayo Takahashi and her team performed the first clinical study using autologous iPSC-derived cells in humans. Her team at the RIKEN Center for Developmental Biology took skin cells from a patient, turned them into iPSCs, and differentiated the iPSCs into retinal cells. The sheet of retinal cells was implanted into the same patient’s eye in an effort to correct age-related macular degeneration (AMD), the leading cause of vision loss in people over 50. RIKEN decided to suspend the study in 2015 due to both unclear safety regulations and the presence of mutations in a second patient’s iPSC-derived retinal cells not found in their original genome, indicating a potential problem with the iPSC- or retinal cell-generation process. Positively, the first patient’s vision remained unchanged (no further degeneration) and the retinal cell sheet was intact one year post-surgery. After changing the approach to use allogeneic (donor-derived) rather than autologous (patient-derived) iPSCs, the study resumed in March 2017 when another patient was treated with allogeneic iPSC-derived cells. Skin cells were taken from a donor, reprogrammed to become iPSCs, and saved at Kyoto University’s Center for iPS Cell Research and Application (CiRA), an institute led by Shinya Yamanaka to “develop iPSC-based technologies … and function as a world-leading iPSC research institute.” Yamanaka was creating an iPSC bank, the key to more widely available allogeneic iPSC-based therapies in the future. As of August 2018, the Japanese biotech company Healios was preparing for a clinical trial using these allogeneic iPSC-based retinal cells. 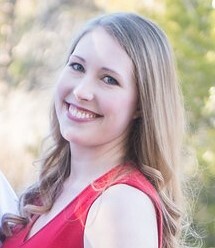 In September 2016, Cynata Therapeutics, together with FUJIFILM, received approval from the UK and Australian governments to begin the world’s first clinical trial using allogeneic iPSC-derived cells to treat graft-versus-host disease, a transplant complication where the donor’s immune cells in the transplanted graft attack the patient's own (host) tissues. The iPSCs were changed into mesenchymal stem cells (MSCs), which were injected into the patients to test their safety and efficacy over two years post-injection. Data collection from all 16 patients is expected to be completed by August 2018. Early results reported in January 2018 were promising, showing that all 8 patients in the first cohort showed a “measurable and meaningful improvement” in disease severity. The second allogeneic iPSC-based treatment was approved to treat heart disease in May 2018. A team led by Japanese cardiac surgeon Yoshiki Sawa at CiRA will treat three patients who have weakened hearts (ischemic cardiomyopathy) with sheets of iPSC-derived cardiac muscle cells. Studies in pigs, whose hearts are clinically similar to humans, showed improved heart functioning after incorporating the sheet of cells. Sawa said the cells seemed to release growth factors to help regenerate damaged heart muscle, rather than integrating into the heart. If the treatment goes well, the team plans to seek approval for a clinical trial involving about ten patients. A third trial started in August 2018 using allogeneic iPSC-derived cells to alleviate Parkinson’s disease symptoms. The characteristic loss of a specific type of neuron (dopaminergic) causes decreased dopamine levels in the brain, resulting in the well-known motor skill problems seen in Parkinson’s disease. Neurosurgeon Jun Takahashi and his team at CiRA will inject iPSC-derived dopamine-producing neural progenitor cells into the brains of patients. Previous studies in monkeys not only demonstrated that the neural progenitor cells developed into dopaminergic neurons and survived for up to two years, but also showed improved Parkinson’s disease symptoms. They are currently enrolling patients, aiming for seven in total, and will track their progress over two years post-injection. Koji Eto and his colleagues at CiRA are seeking approval from the Japanese government to begin clinical testing of iPSC-derived platelets to treat aplastic anemia, a rare and serious type of anemia. Malfunctioning stem cells in the bone marrow reduces blood cell production, resulting in fatigue, frequent infections, and easy bruising and bleeding. Current treatments include bone marrow transplants and blood transfusions. As of late August 2018, Kyoto University has endorsed the clinical testing plan. The team will create and administer autologous iPSC-derived platelets to examine their safety and efficacy. Clinical trials using iPSC-based therapies for a variety of other diseases, such as cancer and diabetes, are also being pursued. After passing the Pharmaceutical and Medical Device (PMD) Act in November 2014, the Japanese government opened the door to accelerate stem cell-based therapy development in Japan by significantly de-regulating laws for cell and gene therapies. RIKEN, in collaboration with Healios, planned to move forward with developing and testing the first iPSC-based therapy, aiming to open an iPSC therapy center at Kyoto University Hospital in 2019 and gain approval for the first iPSC-based product by 2020. 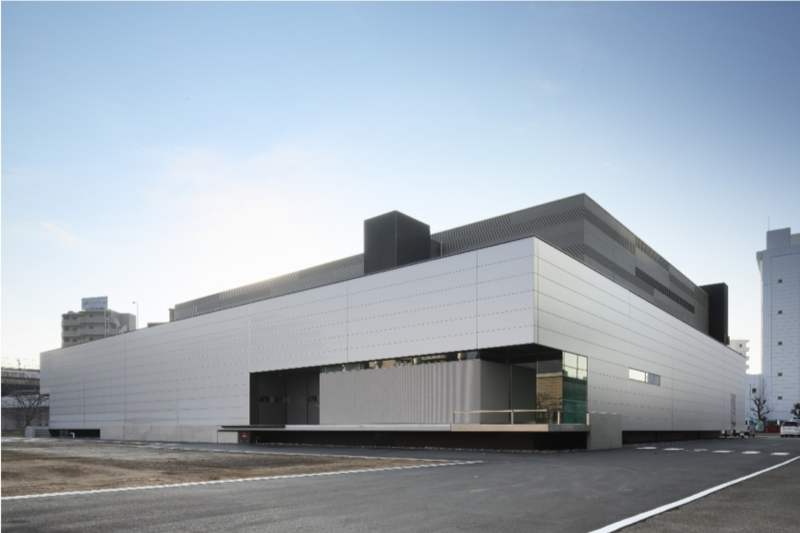 The Sumitomo Dainippon Manufacturing Plant for Regenerative Medicine & Cell Therapy (SMaRT), the world’s first commercial iPSC factory, opened in March in Osaka, Japan. The SMaRT facility cost almost $32.4 million USD (¥3.6 billion) to build. It is equipped with an automated culture system and equipment to block environmental impurities introduced by the staff’s presence. The roughly 32,000 square foot facility is divided into three zones, based on the cell types being produced. Each zone is predicted to produce enough cells to treat hundreds of patients annually, according to Sumitomo Dainippon Pharma officials. Initial iPSCs will be provided by CiRA from their iPSC stock for regenerative medicine. At SMaRT, the iPSCs will be proliferated and converted into other cell types, which can be shipped to medical centers to use as therapeutics. Currently, Sumitomo Dainippon Pharma focuses on stem cell-based regenerative medicines and cell therapies to treat previously untreatable diseases of the eyes, such as age-related macular degeneration and retinitis pigmentosa, and of the brain and nervous system, such as Parkinson’s disease and spinal cord injury. In July 2018, Sumitomo Dainippon announced their partnership with CiRA for the Parkinson’s disease iPSC clinical trial. They are working towards a “practical use of the treatment in collaboration with CiRA” - if the trial goes well, then Sumitomo Dainippon will begin developing the treatment for commercial use with a larger patient population. It’s very fitting that the first-of-its-kind commercial iPSC facility would open in the same country, just miles away from where iPSCs were first created.